In our minds, this is the start of our slow “leaving Mexico” itinerary. 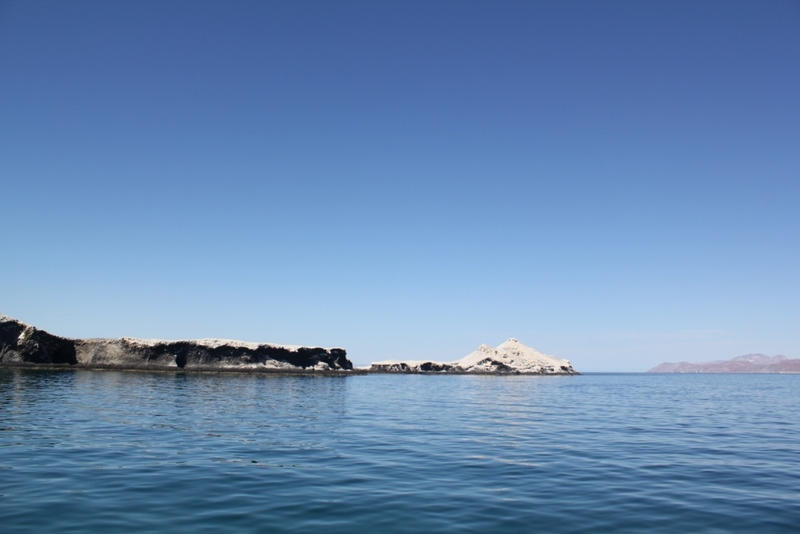 We have visited the Sea of Cortez to our satisfaction, now it’s time to reach Mainland Mexico and head south. It will take us a couple of short stops in the Midriff Islands before we get to the Mainland. Despite the great visibility in the water, well, we don’t find much sea life to watch! The snorkeling today is disappointing. Later in the evening we welcome Jim & Juanita from Arctic Tern, who are sharing this small anchorage with us. Over a good pasta dinner, Jim tells us about their totally different and much better snorkeling experience. I guess their corner of the bay is better for finding fish! To prove this theory, Jim presents us with a nice piece of freshly speared fish. Thanks, guys!